MK Stalin said Prime Minister Narendra Modi and the Ministry of External Affairs should clarify on the issue of safety of Tamil Nadu fishermen. 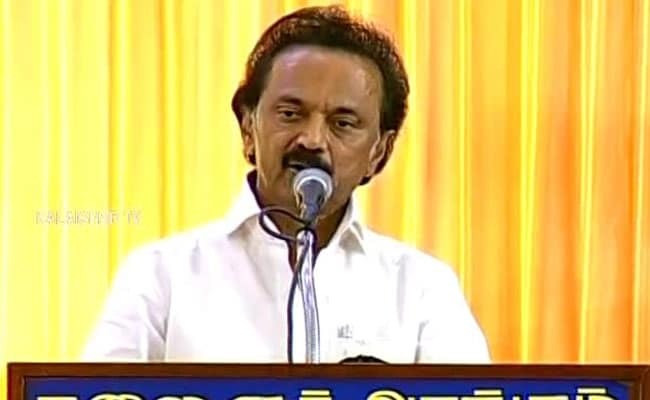 Dravida Munnetra Kazhagam (DMK) chief MK Stalin today said the political developments in Sri Lanka are a cause of concern not only for the Tamils in Sri Lanka but also for those living in Tamil Nadu, especially fishermen. To the shock of Tamils world over, former President of Sri Lanka Mahinda Rajapaksa has been appointed as the Prime Minister by President Maithripala Sirisena, the DMK president said in a statement. Mr Stalin said this happened while the sacked Prime Minister, Ranil Wickremesinghe, insists he continues to be in office. He said Prime Minister Narendra Modi and the Ministry of External Affairs should clarify on the issue of safety of Tamil Nadu fishermen.